The Discipline of Medical Gerontology, located in Trinity College Dublin, supports clinical and didactic teaching and research around successful ageing and preventative care of the older person. 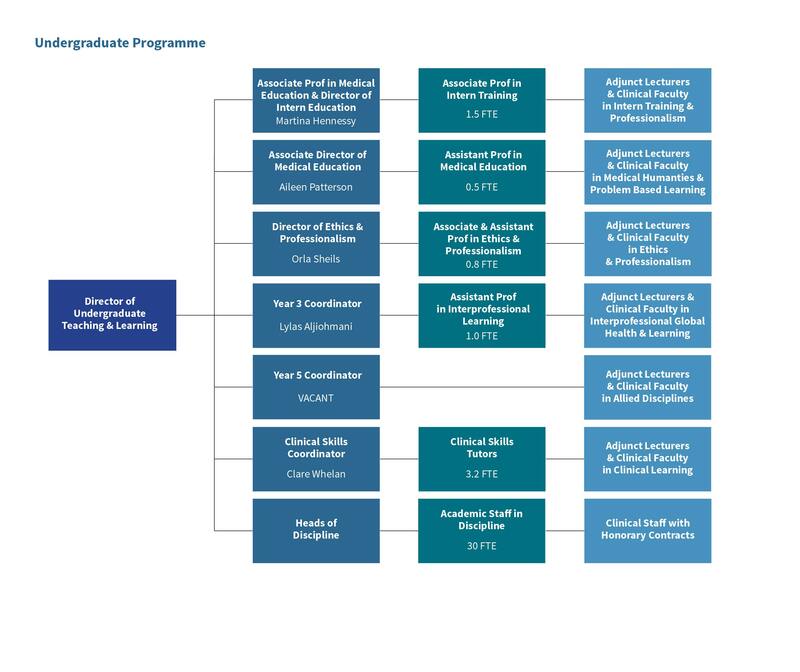 The discipline enjoys a strong and highly reputable clinical teaching and research agenda which takes place in St. James's Hospital (Medical Directorate for the Elderly), Tallaght Hospital (Age Related Healthcare) and Naas General Hospital. Robust links also exist with The Mercer's Institute for Successful Ageing (MISA), a newly built 126 bed state of the art clinical and research unit with expertise in all aspects of health affecting the ageing and older person. Important relationships also exist with Aois agus Eolas: Centre for Ageing, Neurosciences and the Humanities in Tallaght Hospital, Trinity Ageing Research Centre: Ireland's global Centre for excellence in Ageing research, Dublin Ageing Research Network (DARN) and the Global Brain Health Initiative. Together we have established a wide breadth of research programmes around Brain Ageing, Stroke, The Ageing Eye, Falls, Blackout, Syncope Cognitive Impairment, Frailty and Osteoporosis. At the Discipline of Gerontology we are very proud of our culture of innovation and collaboration. We believe in strong partnerships that can deliver new ways of thinking to provide leadership for health strategies and will continue to expand our relationships with important players from all sectors of society to enhance this focus. Our aim is to provide leadership in healthcare and we will continue to work to expand relations with strategic public and private partners. Mercer’s Institute for Research on Ageing (MIRA) represents the research function of the Medicine for the Elderly Directorate, St. James’s Hospital. Founded in 1987 MIRA grew out of the need for an established MISA of excellence for the research, care and rehabilitation of the older person. Sponsored by the Mercer’s Hospital Board, MIRA has gained a national and international reputation as a ground breaking research institute whose primary goal is to enhance the health and care of the older person in both home and care settings, as well as research and determine innovative responses to the ageing process. A secondary, but also very important objective of MIRA is to both provide and support training and educational services around ageing and associated issues, with a particular emphasis on the concept of ‘successful ageing’. Through the sponsorship of seminars, conferences, study days and other meetings, Mercer’s Institute for Research on Ageing has gained a strong reputation as an advocate for the understanding of ageing, both clinical and societal, and it's issues and implications. There is also a strong awareness of the need to communicate research findings as a means of improving public awareness, practice and policy around ageing and the older person. A strong culture of collaboration exists within the institute among all researchers. Its significant track record in educating and training health professionals to the highest standards in research and clinical practice has resulted in a robust network of researchers both at home and abroad. Strong partnerships with Old Age Psychiatry at St James’s Hospital as well as many other multi disciplinary departments in both clinical and academia settings also exist. M.I.R.A. also provides clinical research services in bone health, falls and blackout, cognition and stroke providing expert diagnosis, intervention and support for the patient. MIRA continues to house research activities within the new Mercers Institute for Successful Ageing- MISA, in a purpose built, 4 storey building on the St James’s Hospital site. MIRA has evolved into a new institute, completed in 2016. MISA is a state of the art comprehensive facility combining prevention and clinical care, research and teaching in the same location. It is intended to explore novel approaches to health care of older people and houses a range of rapid access ambulatory clinics including falls, cognitive health, bone health and neurovascular disorders. It will use modern information technology systems to promote wellness and independent living in the community. It will provide leadership in gerontology at both national and international levels. 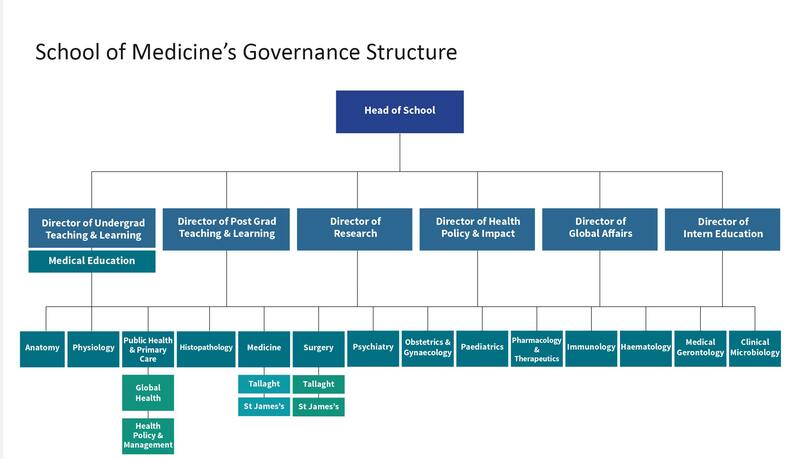 MISA is multidisciplinary in focus and hopes to lead by example, as well as through providing formal teaching and practical training in all aspects of health, policy and social care driven by high quality research. MISA is housed in a purpose built environment that takes advantage of recent advances in the architectural design of buildings for older people. It won the RIAI prize for best Healthcare Building in Ireland in 2016. There are innovative early diagnostic and rapid access ambulatory care clinics and in-patient acute assessment, rehabilitation and a continuing care units. These provide a state of the art treatment centre and training facility for all professionals specialising in care of older people. It is envisaged that MISA will become fully integrated with the surrounding community allowing new models of health and social care to be developed and tested in collaboration with primary care. The location of MISA on one site maximises the use of specialty skills and technology to ensure early assessment and intervention before disability is established. By fully integrating clinical care, training, education, policy and research in ageing, the centre maximises the potential to deliver solutions to the complex problems that face an ageing society. The combination of ambulatory care, inpatient treatment and strong community links facilitate a seamless pathway of care. MISA will continue to engage with technology partners to create a clinically based research and development environment to enable convergence of technology innovation with healthcare services. MISA now provides ‘state of the art’ health care for older people through innovative practice models that allow easy and rapid access to specialist multidisciplinary assessment and treatment. 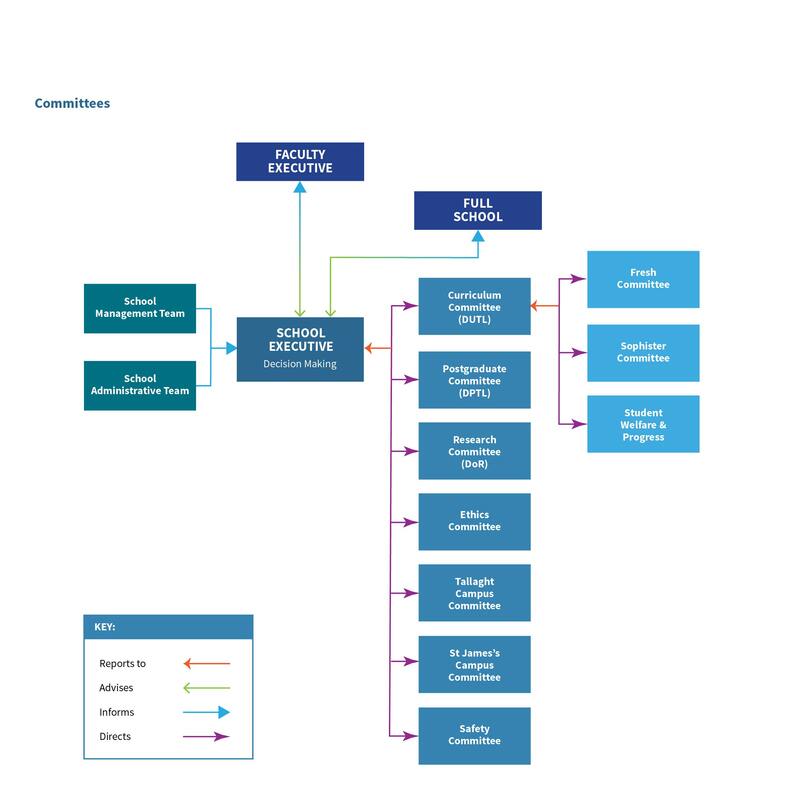 The service model embraces innovation and novel technologies using evidence based practice and emphasises a strong research and evaluation process. MISA also promotes and highlights the creativity of older people and enable them to express themselves through art, sculpture, poetry, literature, music and drama. Modern information technology has potential for diagnostic and therapeutic interventions, as well as to reduce isolation, promote security, provide mental stimulation, and improve morale and thereby increase the quality of life of older people. Technology can be used to develop remote monitoring systems to promote wellness and to significantly enhance social support mechanisms for frail older people living in their own homes. The same technology can be used to develop systems for monitoring the health of older people in the home and relaying the information centrally for analysis. A development unit will pioneer I.T. communication systems and will develop protocols for their introduction and use. The acquisition of knowledge and information and the development and maintenance of professional skills are of paramount importance in improving health and social care for older people. For this reason, MISA will have training and education as one of its main components. The training and education component will promote health care professional training in ageing at all levels and will integrate training in ageing on a single site using an interdisciplinary approach, thereby allowing for broader learning opportunities than the traditional single disciplinary training exposure. MISA is physically located adjacent to the HRB / Wellcome Clinical Research Facility and HRB Centre for Advanced Medical Imaging thus facilitating access to clinical research resources. Dublin Ageing Research Network (DARN) a physician and psychiatry based research collaboration comprising of geriatricians and old age psychiatrists based in Dublin’s medical schools. Since its inception in 2006, DARN meetings have taken place on a regular basis and are hosted on a rotation basis between the various Dublin hospitals with each meeting including a range of topics relating to the advocacy, education and information sharing around ageing. As part of the ‘best practice in teaching’ remit of DARN, the Jack Flanagan Medal competition was developed in 2009. This competition originated as an intervarsity contest between the penultimate year students of Dublin medical schools and has since expanded to include Galway and Cork medical schools. Student teams from each of the medical schools are challenged on their knowledge of the medical and psychiatric problems associated with ageing - The competition takes the form of a clinical-pathological conference where competitors are given a case to review and have 45 minutes to formulate a care plan and diagnosis for the patient. Each team presents their findings in a 10 minute PowerPoint presentation and is questioned by a three member-judging panel from the three universities. The competitors are judged on their knowledge of the medical and psychiatric problems associated with ageing. The winners are awarded the ‘Jack Flanagan Medal in Gerontology’, which is an academic prize awarded by the Professors of Gerontology/ Medicine, as well as a cash bursary. This competition is named after Ireland’s first geriatrician, Dr Jack Flanagan who was the first doctor in Ireland to specialise in modern day geriatric medicine. The Irish Longitudinal Study on Ageing (TILDA) is a large-scale, nationally representative study of 8178 community living individuals aged 50 and over in Ireland. It is the most ambitious study of ageing ever carried out in Ireland and represents a step-change in terms of data, knowledge and understanding of ageing with which to inform policy and novel research. The study is being carried out by Trinity College Dublin in collaboration with an inter-disciplinary panel of scientific researchers, with expertise in various fields of ageing, from Dundalk Institute of Technology (DKIT), Economic and Social Research Institute (ESRI), National University of Ireland Galway (NUIG), The Royal College of Surgeons in Ireland (RCSI), University College Cork (UCC), University College Dublin (UCD) and Waterford Institute of Technology (WIT). A group of international scientists also advise the TILDA investigators. It has recently received HRB funding to continue until 2022. Ireland shares with other developed countries the prospect of rapid and sustained population ageing. The age distribution of the Irish population is undergoing a dramatic change at present and this trend is predicted to continue into the future. People are living longer, and older persons represent a larger proportion of the population. In Ireland, the proportion of the population aged ≥65 years has remained steady at ∼11% for the past 40 years. However, it is projected that this proportion will rise to 14% by 2021 and to 19% by 2031. The greatest increase will be in the oldest old, aged >80 years, which is expected to more than treble by 2036. This change in the demographic profile of the Irish population poses a major public health challenge. Unlike the situation in the USA, the UK and many other developed countries, there have been no large population-based cohort studies in Ireland to inform research on healthy ageing. The purpose of TILDA is to bring about a step change in the quality, quantity and prominence of information and research about ageing in Ireland. The study has been harmonized with leading international research so as to ensure best practice and comparability of results. TILDA is unique among longitudinal studies in the depth of physical, mental health and cognitive measures and the quality of objective measures and technologies used for collection. The first wave of the study took place from October 2009 to July 2011 and involved an extensive face-to-face interview, a questionnaire and a comprehensive health assessment either in a dedicated centre or in the home. These same individuals will be followed over a 10 year period and they are currently participating in wave 2 of the study. The second wave of data collection commenced this year. TILDA is particularly unique amongst longitudinal studies internationally in the breath of physical, mental health and cognitive measures collected. Fieldwork involved interviews using computer-aided personal interviewing (CAPI) techniques and either a visit by the respondent to a TILDA Health Assessment Centre where appropriate medical measurement facilities were available or a visit to the respondents’ home by a qualified research nurse to take physical measurements and bio-medical samples. A self completion questionnaire was also requested of all respondents. Its early results indicate a high prevalence of untreated depression and anxiety, suggesting that, as a consequence, the older Irish population is at high risk of physical illness and disability, cognitive impairment and dementia. In all cases, the TILDA measures are compared against three studies: The English Longitudinal Study of Ageing (ELSA); the Survey of Health, Ageing and Retirement in Europe (SHARE) which is pan-European, and the Health and Retirement Survey (HRS) conducted in the United States. The research will be conducted in collaboration with the Geary Institute at UCD, NUI Galway, the University of Mannheim, Germany, Cambridge University and the NBER, Massachusetts, USA. To date TILDA has received combined contributions amounting to €26m. Our main funders are the Department of Health, Irish Life and Permanent Plc, and The Atlantic Philanthropies. The National Bureau of Economic Research (NBER) awarded TILDA €68K in 2007. In 2010 TILDA received grants from the Centre for Ageing Research and Development Ireland (CARDI) for €19K as well as an award from the HRB for €298K to study frailty and cognitive impairment in the older population. TILDA was also awarded a new HRB Interdisciplinary Capacity Enhancement (ICE 2012) grant for €590k over 3 years to study the role of autonomic function in the development of cardiovascular disease in adults, thereby creating new biomarkers and opportunities for intervention. A further HRB population health science award for €300k over 3 years was made to study type 2 diabetes and its relation to cardiovascular function, cognitive function, mental health and socioeconomic factors. The National Institute for Health awarded an R21 grant in September for €82,000 to cover the SHARE project. A student scholarship for €2,000 was also awarded to TILDA by the Health Research Board to cover an 8 week summer studentship to investigate vision, gait and fear of falling. More information on these awards can be found on www.tilda.ie.